I hope you all get to spend your holiday with people that you love and lots of tasty food! We'll be spending ours with some pretty awesome friends and I'm excited about that! 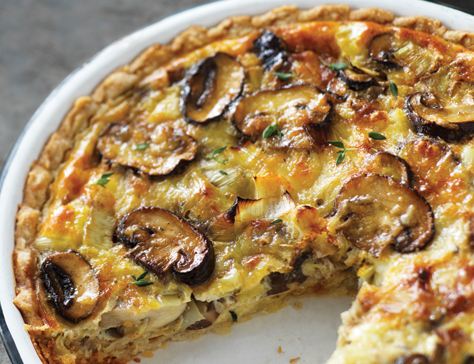 I'm bring a mushroom and leek tart, this photo is a quiche but it's such a pretty photo I wanted to use it! Stay happy and warm! And don't forget to check out the opening of the Made in the 216 Holiday Shoppe on Friday if you are in Cleveland!